It’s a rainy night and you’re coming home from the Outlets at Orange. You just bowled a 210 at the Lucky Strike Bowling Center and you’re feeling pretty good. Then the rain starts coming down even harder. You know how dangerous it can be driving in the rain at night so you stay more alert and drive more cautiously. You keep a farther distance from the car in front of you and drive a little bit slower. No matter how careful you are, however, there are certain things you can’t avoid like hydroplaning. Imagine that happening and you end up in a ditch on the side of the road. The situation seems unimaginable. You may think it’s an impossible situation to get out of, but it isn’t because Towing Ravens is there to come to your rescue. Towing Ravens can extricate your vehicle from that ditch using their state-of-the-art winch system. They just hook it up to your vehicle, reel it in by adjusting the tension, and pull your car out of the ditch. Towing Ravens in Orange will have you back on the road in no time. What’s Special about Towing Ravens? We work 24/7. Towing Ravens can come to your rescue at any time of day or night. Our skilled technicians are courteous and professional. 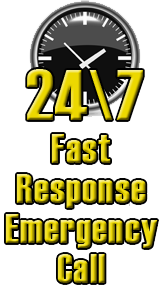 You can rely on a reputable company to handle your roadside emergency needs. Towing Ravens is concerned about you and your vehicle and will treat you with the utmost respect. We have a fast arrival time. We can get to you within 30 minutes of your call. We have competitive pricing. Our prices will please you because they are among the lowest in the industry. Towing Ravens has been serving the Orange community for many years.